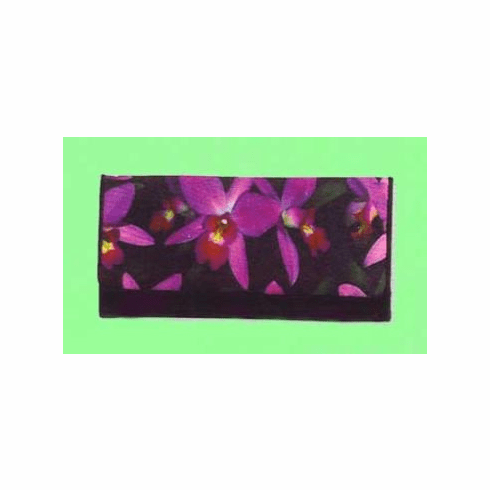 Orchid Wallet - Beautiful orchid image printed on the outside of the wallet. The wallet features 10 credit card pockets, snap change pocket, checkbook pocket, snap closure with zippered pocket on back. Measures 8-1/2" x 4".